Opening Wednesday 5.30pm September 24 at Sanderson Herne Bay, 122 Jervois Rd (cnr of Clarence St) until 18 October. 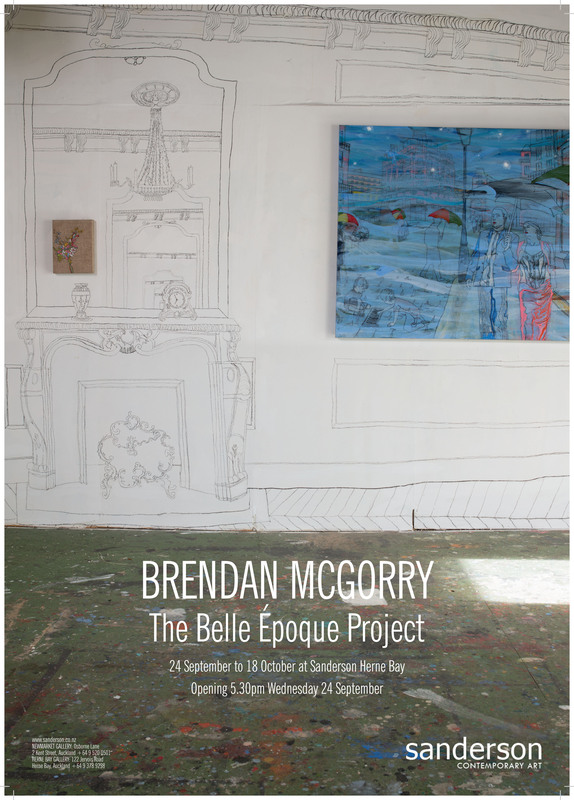 Primarily self-taught, Brendan McGorry engages with references and allegories drawn from historical European paintings, which he intertwines with his own personal genealogy to reflect upon biological and social evolution. While earlier works have often been informed by the Italian masters of the Renaissance, The Belle Époque Project visits an alternative point in art history: the flourishing Parisian art of the Impressionist movement. In this ambitious exhibition McGorry fuses the works of painters like Calliboutte, Manet, Renoir and van Gogh with musings on his own recent time in Paris, where he stayed in the renowned Haussmann apartments. Weaving familiar historical motifs with contemporary images of everyday life, the past and present collide in dreamlike compositions across his canvases. In these meta-paintings iconic Impressionist works have been recreated by the artist; mimicking the compositions but reworking each in his distinctive drawing-based style, with forms defined by charcoal outlines and flat, vivid colour. 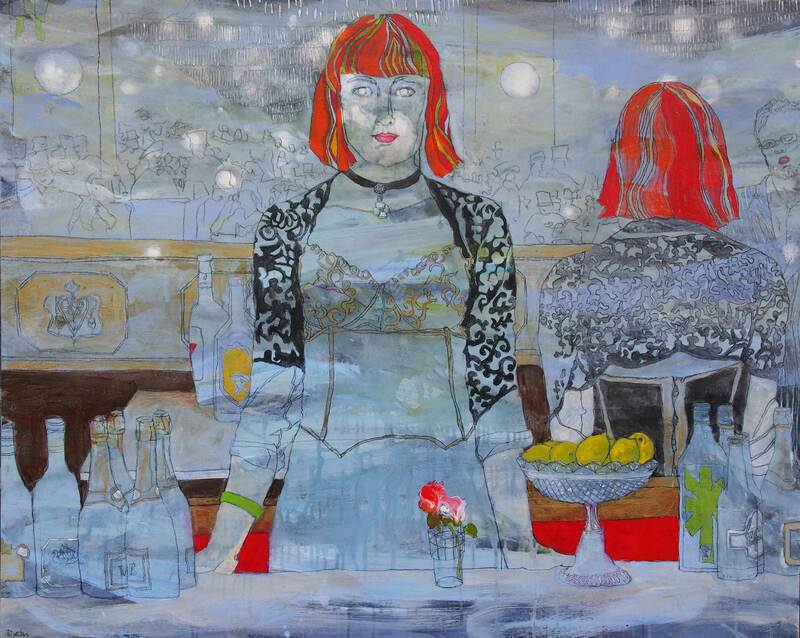 The artist also introduces incongruous contemporary elements that firmly anchor the works in the present, while irrefutably indicating the past; the viewer is simultaneously aware of McGorry’s version and the original works he references.